It's gun lovers' heaven — the first town in the world built specially for firearm fanatics. Instead of backyard pools, putting greens and hot tubs, owners will have shooting ranges, a SWAT assault tower and underground "tunnels of terror" for urban warfare and live fire training. Lots alone cost $240,000 in this modern-day home on the shooting range and Phase I is almost sold out. "My wife and I have five degrees and a couple of doctorates between us," future resident Mike Meacher, a California investment banker told The ENQUIRER. "We just happen to be gun enthusiasts. "It'll be like a golf course community — without the golf course. We'll just have shooting ranges instead, that's all." The man behind the $25 million, 550-acre project, Dr. Ignatius Piazza, said, "It'll be Disneyland for shooters!" Piazza, 39, who runs a defensive firearms training institute near Bakersfield, Calif., told The ENQUIRER, "We're building a world-class resort centered around the safe and responsible use of firearms. "We're not building another Waco. We're not connected with any militia or extremists. A lot of our customers are in law enforcement. 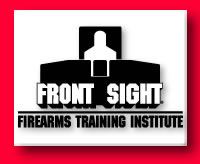 We've already got our ranges built at Front Sight, and we're even training deputies from the local Sheriff's Department. "We've sold 29 out of the first 32 plots, all to law-abiding, upstanding, God-fearing citizens who respect the right to bear arms. We've got no crazies!" The town, 40 miles west of Las Vegas, will eventually have over 600 full-time residents living in 117 family homes. It will have its own stores, school, church, and airstrip — along with a monument to the Minutemen. Gun-toting residents will live on streets with names like "Second Amendment Drive" and "Sense of Duty Way." Noise will not be a problem, says Piazza, because homes will be built a good distance from the firing ranges. The first residents are expected to move into their Front Sight homes before the end of 2000. There'll a defensive-driving track, a rappelling cliff, and the latest video training simulators. "I know we have critics," added Piazza. "But Front Sight is part of the solution to gun tragedies and gun violence. "Guns aren't a problem, it's the lack of training, and we give law-abiding gunowners high levels of training in everything from handguns to submachine guns." Meacher, 52, told The ENQUIRER: "This will be the safest town in America. Everybody living here will be armed and trained — any criminal would have to be deranged to try anything in Front Sight." "It'll be a safe community of like-minded individuals, a second home I eventually retire to," said future resident Dean Gamburd, 48, a Los Angeles businessman.